One of my sorority sisters asked me to make her a blanket using her son's blankets and baby clothes. 98% of the baby items on the front and the back. I also used a layer of cotton batting plus a layer of polyester mid-loft to give it that extra coziness you can see. I chose a free-hand meander on my long-arm machine to give it just enough density to make the negative space puff up. My "sister" and I were both proud of how it turned out. 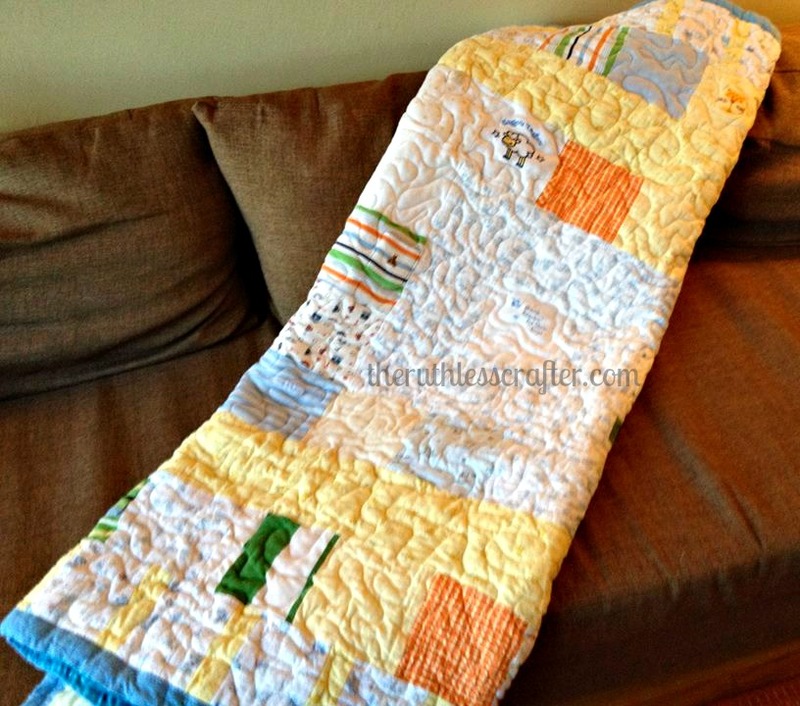 Thank you for letting me help you cherish your son's baby memories with this blanket, Karen. "After years of thinking about it I finally found the perfect person to create our memory blanket. 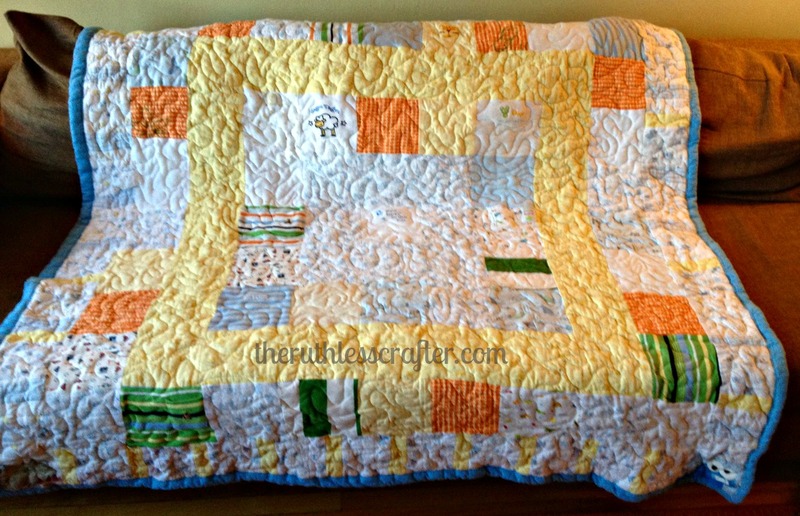 This quilt is made of all our favourite baby Sammy onesies and receiving blankets; it is crazy awesome, super soft and brings a tear to my eye. Thank you Elizabeth for sharing your incredible skills and what little spare time you have to make this treasure!" ~ Karen R.